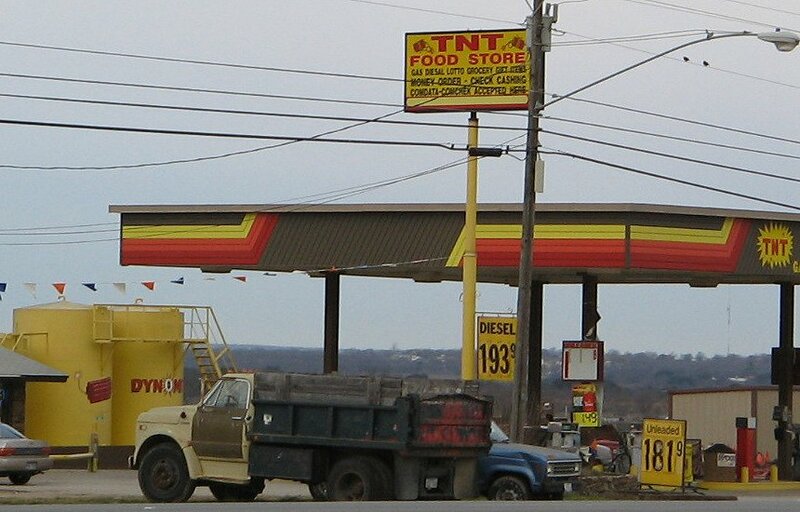 A TNT station in Jacksboro, Texas. 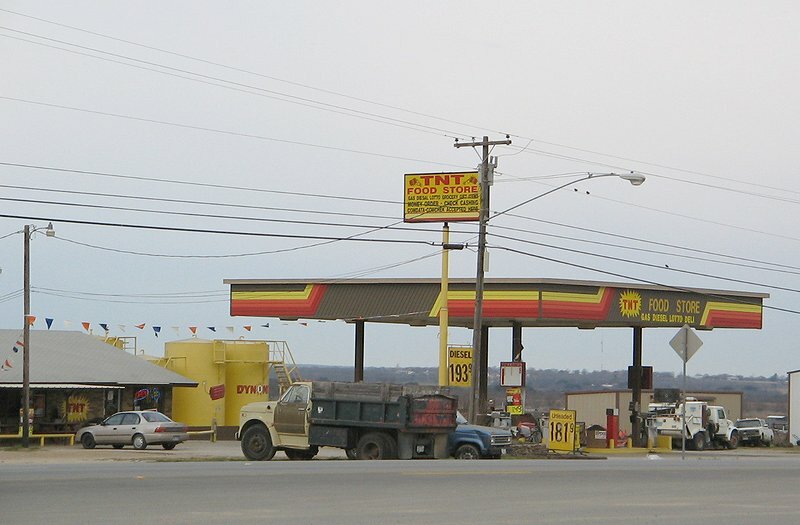 Taken in Feb. 2005 by David Aldred. A close-up of the interesting graphics from the above photo.